Page created 16th May 2016. Last updated 15th July 2018. 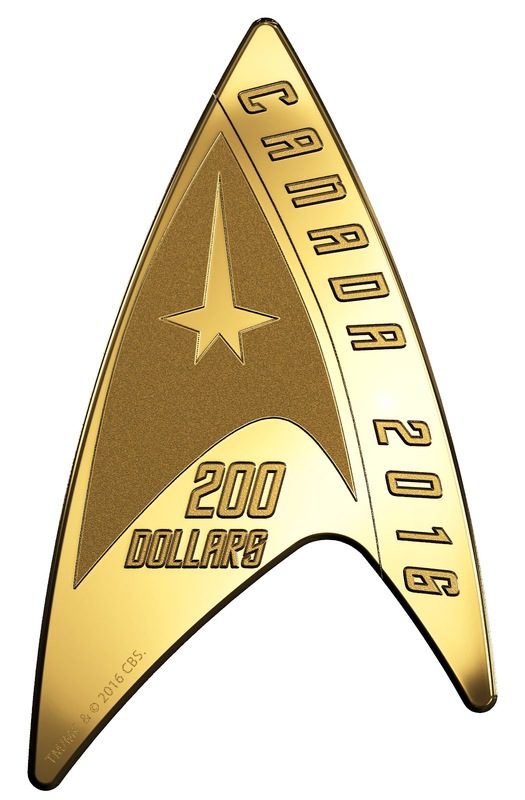 In 2016 the Royal Canadian Mint launched a series of Star Trek coins, initially offering a variety of designs to celebrate the 50th anniversary of TOS, and later releasing coins based on other parts of the franchise. Most of the coins were issued in precious metals, and were therefore sold for prices much higher than their given face values. Several coins have offered innovative features, such as being made in unique shapes, or glow in the dark printing. This is a list is ordered in descending face value. New Visions is a unique series of Star Trek: The Original Series comics created by John Byrne and published by IDW, starting in 2013. Each issue is painstaking created using stills from the television series, to create new episodes in comic-book form, using all the original actors, sets, props and more, exactly as they appear on-screen. The books are perfect bound, and also about twice the length of a typical comic, with each issue normally featuring a forty-two page story (a few have comic in slightly longer or shorter). 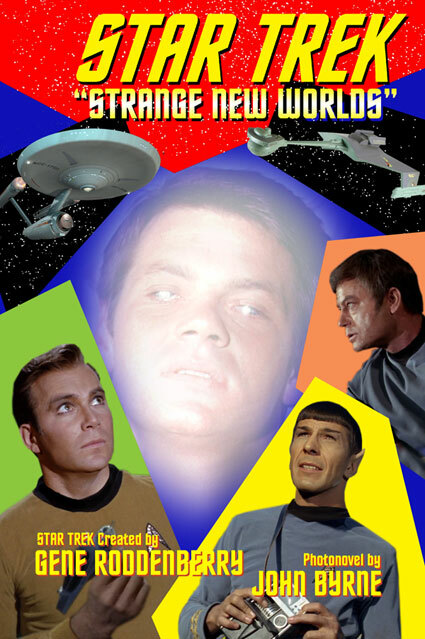 The series began as an experiment on Byrne's part, who set out to create a photo-comic adaptation of the first aired TOS episode, The Man Trap. Realising he had hit on something, Byrne then began to work on an original story, and soon enough IDW picked up the idea, with the first story published as a one-off annual (IDW's first Star Trek annual in fact). The series gained it's title in the second story, issue one of New Visions, although later reprints of the annual also used the New Visions title. New Visions became IDW's second ongoing Star Trek comic series (following the nuTrek series), and is released on a roughly bimonthly basis; although has been subject to frequent shuffling on the release schedule that has led to it not quite keeping up to that release frequency. As the series has progressed so has Byrne's technique, while early issues typically used sets as available from screencaps, Byrne quickly began to expand his options by creating new CGI environments, ships, and even characters. Similarly his photo-manipulations have become ever more complex as he seeks to create unique scenes with characters and poses that do not exist straight from the screen. Occasionally Byrne has also made use of new photography to add in guest characters using new actors. The list below is of all the New Visions issues, in release order. 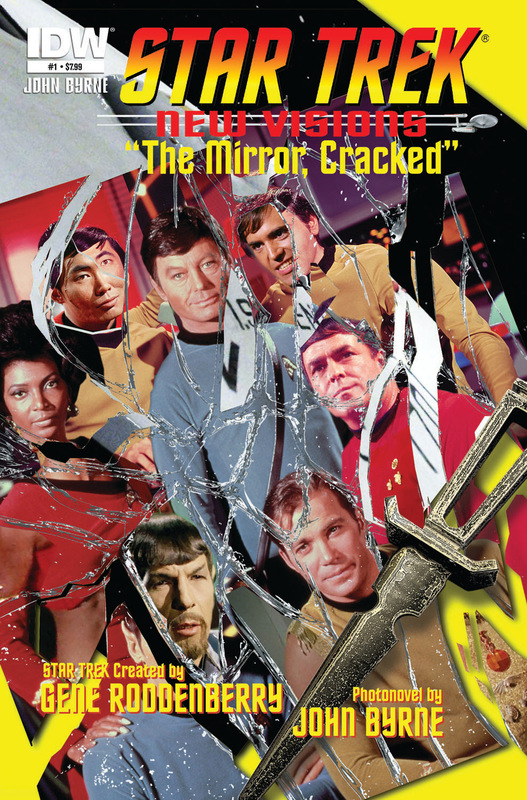 In addition to the individual issues, the second omnibus book of the series also features a bonus story, Eye of the Beholder, in which Captain Kirk visits both the Gold Key and TAS realities. Notes: Byrne's first photo-comic, released as a stand-alone annual. The story is a sequel to Where No Man Has Gone Before, featuring the return of Gary Mitchell, several years after the events of the episode. Later reprints added the New Visions title. Coverage: First details and sample pages, excerpt. Notes: First issue of the New Visions series, and a sequel to the original mirror universe episode, Mirror, Mirror. Coverage: First panels, more panels, Klingon interiors, title and tease page, panel breakdown and virtual sets, ongoing series, author comments and virtual set, solicitation cover and blurb, press release and updated cover, excerpt. Purchase: Amazon.com, Things From Another World, iTunes. Page created 2nd May 2016. Last updated 25th December 2018. This is a list of Star Trek stories and books written by Dayton Ward, who has written numerous novels and novellas, as well as a comic, non-fiction books, and many articles for various Star Trek magazines and StarTrek.com. 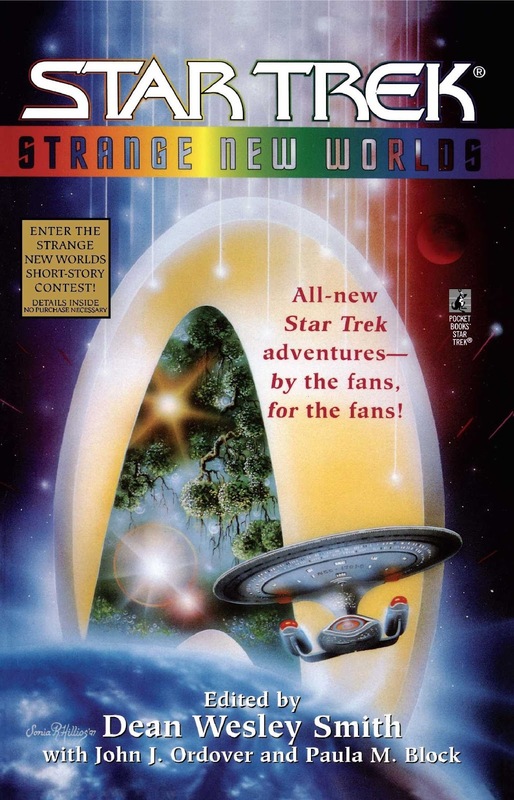 Ward's first published Star Trek work was a winning short story in the Strange New Worlds writing contest, which he won places in for two further consecutive years. Following this Ward became a regular writer for the SCE ebook novella series, and also began to work with his regular writing partner Kevin Dilmore. Ward has since gone on to write numerous Star Trek novels as well as other shorter fiction, with a particular focus on TOS and TNG stories. Together with Dilmore, fellow author David Mack, and editor Marco Palmieri, Ward also co-created the Vanguard, and later Seekers series, with Ward-Dilmore and Mack writing alternate books in both series. 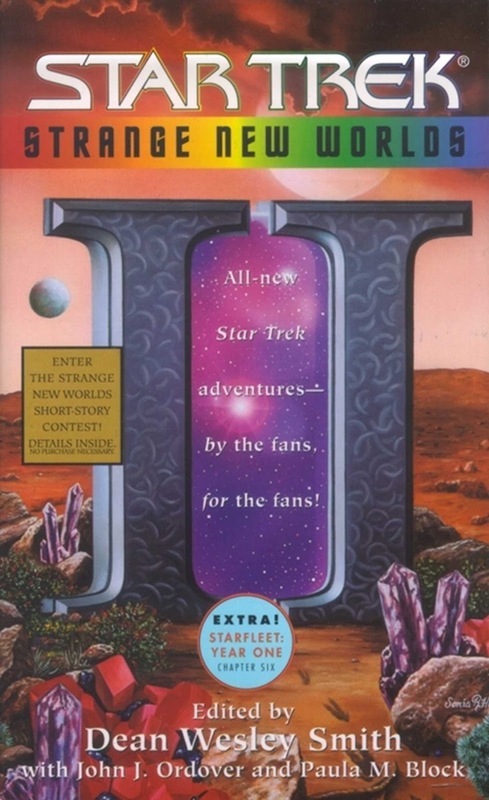 The list below is of Ward's Star Trek stories and books, presented in publication order. 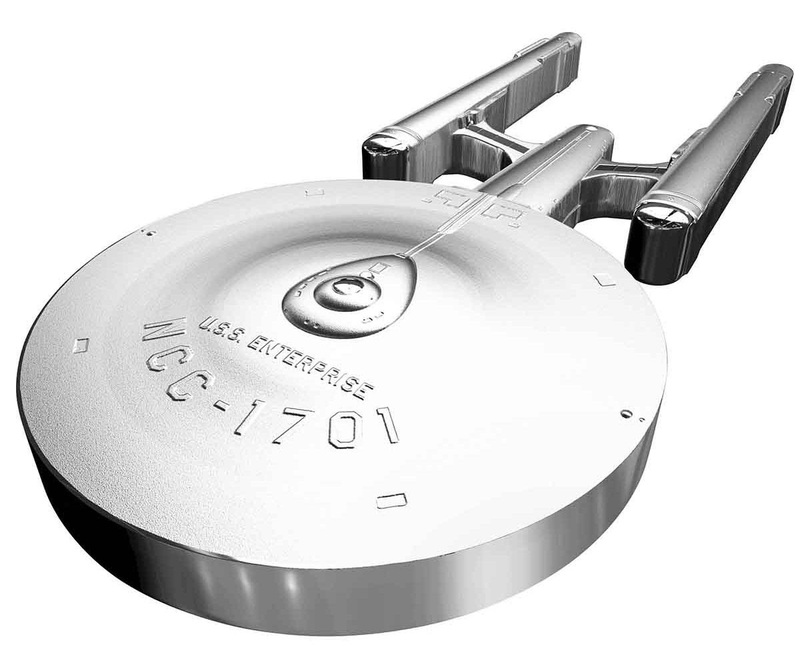 Notes: A TOS short story, and Ward's first Star Trek story. A winning entry in the first ever Strange New Worlds writing competition and subsequent anthology book. Notes: A Voyager/Department of Temporal Investigations short story. From the Strange New Worlds II anthology.